To think, from making chilli sauce in a cramped East London shed to a book being sold worldwide is unbelievable. 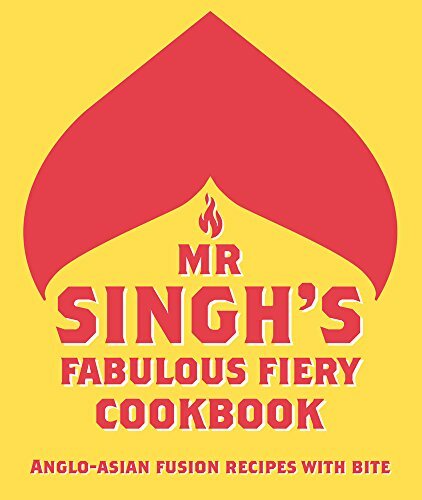 Mr. Singh's Fabulous Fiery Cookbook contains intimate family photographs(including a chubby-cheeked toddler), personal stories, funny anecdotes and over 80 everyday recipes with photography so good you can taste the food! The food is the same as what we enjoy at home on a daily basis and the recipes are super easy to follow. Check out the gallery below. This is ideal as a gift (Christmas is coming - wink wink, nudge nudge!) for a loved one or for yourself. We hope you enjoy the book and the experiences it will create as much as we did writing it. Once again, if you want to buy a copy, click the "Buy Now" button below. All our love, the Singhs.